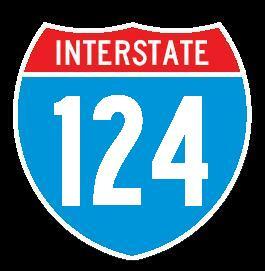 Interstate 124 is a short portion of the U.S. Rt. 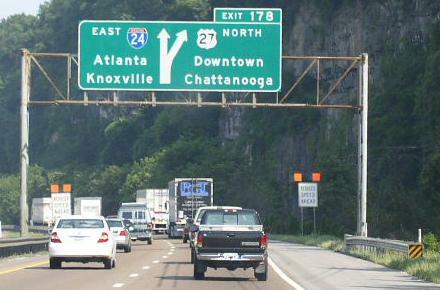 27 freeway in Downtown Chattanooga. As of June, 2003 there where no shields in place. 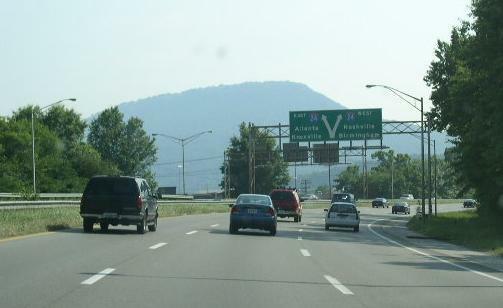 The 2003 Tennessee State Highway map does not label this as I-124, although the 2003 Bell South Metro-Chattanooga Phone book labels I-124 on it's map of the city. 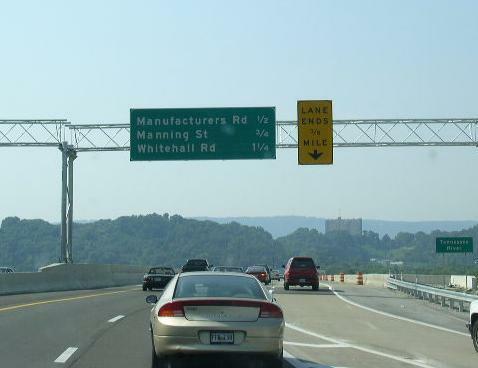 In a email recived from Noel Eavans, Manager I Planning Division of the Tennessee Department of Transportation, he stated that Interstate 124 is designated between Interstate 24 and the junction of Tennessee State Route 29 (U.S. Rt. 27) at the Tennessee River. As the FHWA Route log states, this highway is 1.97 miles long. 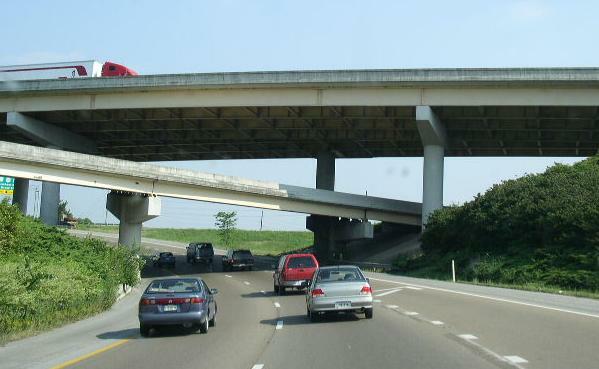 Mr. Evans went on to say that it was determined that the shields for I-124 were not re-installed when the major directional interchange improvements were made some years back. This is probally reffering to the I-24/I-124 interchange. While in Tennessee, I-124 is multi-plexed. ...U.S. Rt. 27, from Interstate 24 to the Tennessee River. 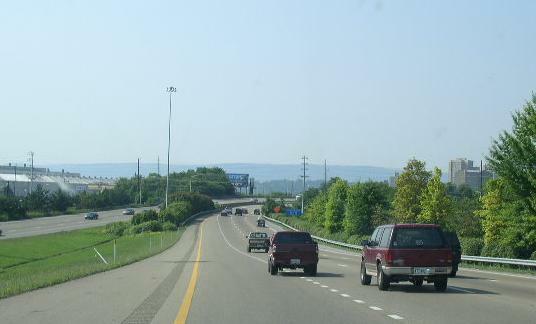 ...Tennessee State Route 29, from Interstate 24 to the Tennessee River. Interstate 124 crosses the following interstates in Tennessee. 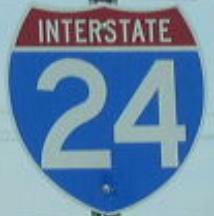 First overhead sign for I-24. 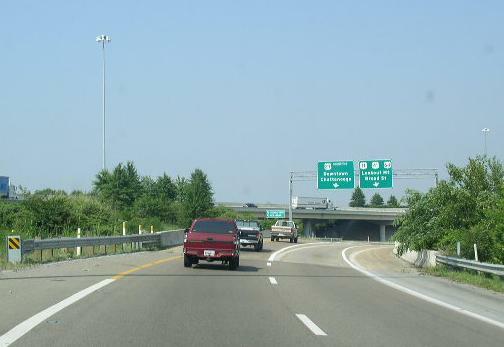 SB I-124 at the stack interchange of I-24. 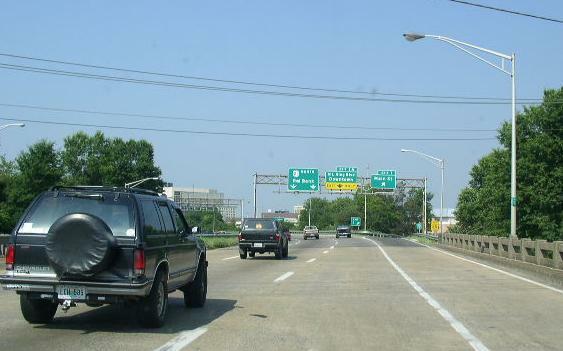 The parent route of I-124. 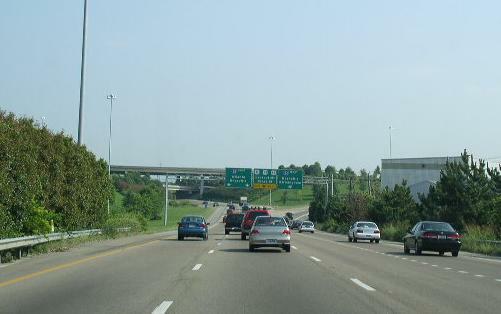 EB I-24 near the interchange for I-124. Over head signs at I-124 on EB I-24. Ramp from EB I-24 to NB I-124. NB I-124 just north of the stack with I-24. NB I-124 at Downtown Chattanooga. 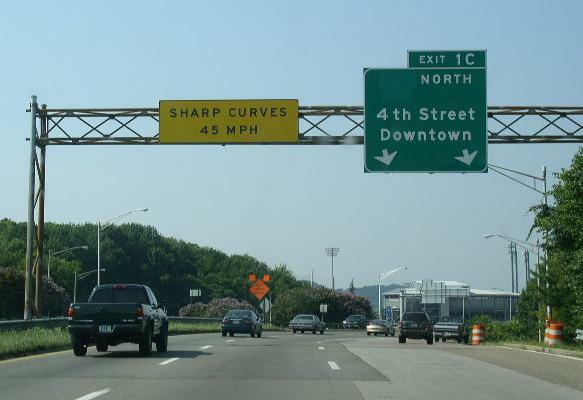 Near the Tennessee River, there are some sharp curves. 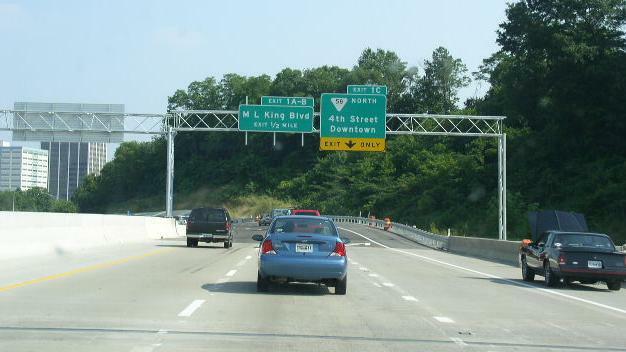 This is the northern end to I-124. SB I-124 at the Tennessee River. This is the northen start of the route. 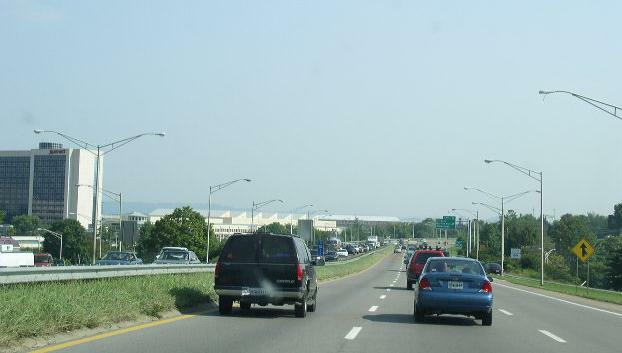 SB I-124 in Downtown Chattanooga.